We’ve all seen it from time to time. Either in a local paper, at your local bait & tackle shop, at the kayak launch, or on social media. Someone either catching and keeping undersized fish, or way oversized fish. Ultimately, the excuse is almost always the same: the angler didn’t know the rules or regulations. Unfortunately, that excuse doesn’t help the over slot redfish or cooler full of rat reds, or the 35+ pound black drum that was full of roe, now lying lifeless. 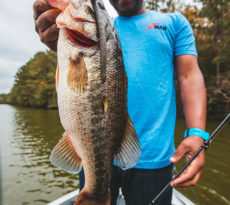 As an angler, whether it be kayak, boat, or shore angler, it’s your responsibility to know the rules and regulations in your state. Each state varies with the slot limits for each species. For instance, in Florida, the redfish legal slot limit is any fish between 18″ to 27″. Keeping a fish under 18″ and over 27″ is illegal. 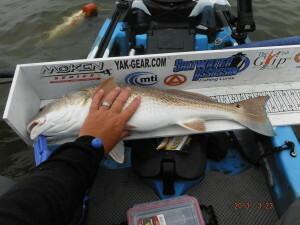 Keeping an over slot redfish harms the fishery, as those are the “breeders”. Recently, I’ve seen on social media a gentleman in Texas post a picture of himself holding an overslot redfish next to a pickup with several other over slot redfish on the tailgate. Luckily, many anglers responded to the posting and shared it with the local wildlife commission office. That gentleman was found, prosecuted, and payed heavy fines for killing those fish. 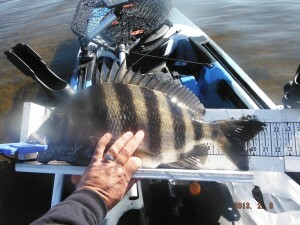 Over the weekend, while hosting a kayak fishing tournament at a local bait and tackle shop, I noticed two separate individuals with rather large black drum. I spoke with the first gentleman, and he was completely oblivious that a fish that large would be full of worms and the meat would be less than desirable. His excuse was that he didn’t know. The second individual had approximately a 35+ pound black drum that was full of roe. They were oblivious to anything. The rules in the state of Florida allow a black drum to be kept over the 24″ max slot limit, but at some point common sense has to become relevant. Size and slot limits are in place for a reason, and that’s to preserve the fishery. I, like many of you, enjoy the amazing fishery I’ve personally witnessed along the southeastern United States. I agree with having regulations on our fishery, because I want my sons and their sons to enjoy fishing and the great outdoors. There’s a plethora of information at our fingertips these days on the internet and social media. It takes merely a few moments to learn the regulations. Pretty much anyone can go to their local bait and tackle shop, outdoor retailer, and even online to purchase a fishing license. Shouldn’t we install measures where a new angler has to take a small test before receiving a fishing license? Society requires that you receive a driving test and/or examination before receiving a driving license, so why should a fishing license be any different? We’re required to know and understand street signs, so why are we not required to know the different species of fish and the regulations regarding those species? At one point last year, a friend and I came across a gentleman who’d just been out fishing with his son. We chatted at the boat ramp, and he proclaimed they’d have an amazing day on the water catching up several croakers and sheepshead fish, and had filled the cooler. The fellow proclaimed that he’d been fishing for 30 years, but upon showing us his cooler filled with fish, we noticed that the croaker weren’t croakers, and the sheepshead weren’t just that. In fact, the croakers were actually undersized redfish, and the sheepsheads were undersized black drum. We tried politely explaining to the gentleman the difference, but it alluded me that this gentleman who’d been fishing for 30+ years still didn’t know the difference between the species. To add salt to the wound, he was teaching his son incorrectly as well. Of course the argument will come that there are plenty of fish in the water, and while this one individual’s mistake that day would not have a profound effect on the fishery; start adding up the numbers. What if there are hundreds out there who are like this fellow? Start adding up those numbers and it becomes quite significant. I’ve been approached by Florida Wildlife Commission officers on many occasions while fishing, unloading to hit the water, and simply just returning from a fishing trip. Some argue that it’s a bothersome experience, but I think there are other ways to acknowledge these situations. Those officers are merely doing their job, and that’s truly a good thing. We want to ensure that these officers are out at the boat ramps and kayak launches. This ensures the rules and regulations are more often followed. I was approached on my first outing of the year recently by a FWC officer. 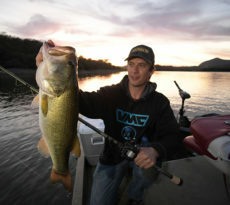 I was simply unloading my gear so I could hit the water, and he asked to check out my gear, to which I gladly obliged. He didn’t impede my getting the gear ready to go fishing, just checked to make sure I was carrying everything required of me. 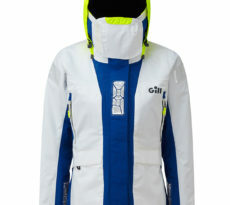 As he prepared to leave, he wished me luck on the water, and I, in turn, thanked him for checking my gear to ensure I was correct. Unfortunately, there aren’t enough FWC officers here in Florida, in my opinion. I wish the state had the financial ability to hire more officers, so we can ensure more anglers are following the rules and regulations. The kayak fishing community is a tight knit group, so it’s our ultimate responsibility to police ourselves. Preserving the fishery now will allow our children, grandchildren, and their children to continue enjoying what it is that we all love so dearly. Holding seminars, writing articles, and being involved with your local wildlife commission are easy ways to disseminate information for those who are coming into our sport. Another “tool” to employ while out on the water is a measuring device. Many of us build our own measuring boards, or simply purchase one through a local retailer or kayak accessory supplier. Having a measuring device on board your kayak ensures you’re releasing fish who aren’t within legal regulations. It’s growing everyday, and we all need to chip in to maintain the amazing fisheries that we all enjoy around the globe. So the next time you’re out on the water or at the launch, spread the wealth of knowledge. Catching fish is just too much fun to see slowly disappear.